Woodforde Cottage is pet friendly. These are the reviews for Woodforde Cottage. There are 28 reviews. Good location for exploring Somerset and Dorset. Good local pub a short walk away. Nice character cottage with well equipped kitchen. Very nice cottage, Great location but can do with a shower. 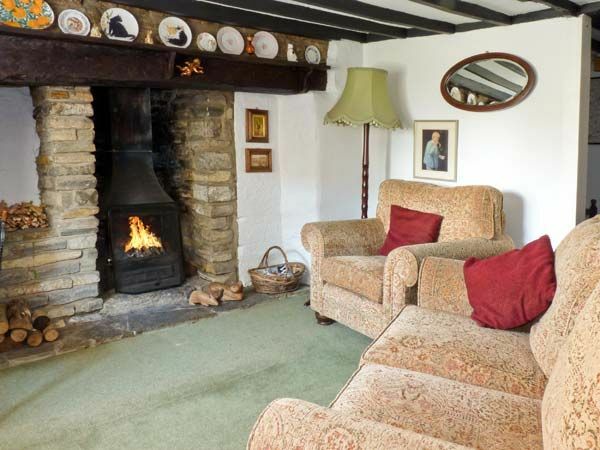 Lovely cosy cottage, very well equipped. Had a lovely relaxing week away. A welcoming, cosy and quaint cottage full of character. The real fire was a bonus. The owner provided everything you could think of and more! It was very clean as was all bedding and towels provided. A beautiful Cottage in a lovely little village. The Cottage has everything you need, with a good sized kitchen and a comfortable sitting room. Would love to return. Liked the quietness and the lovely unspoilt cottage, the location was perfect. It was quaint and cosy with everything I could wish for as an escape. It was a beautiful cottage, very well equipped, in a lovely part of the country. Cosy country cottage in beautiful country village setting. 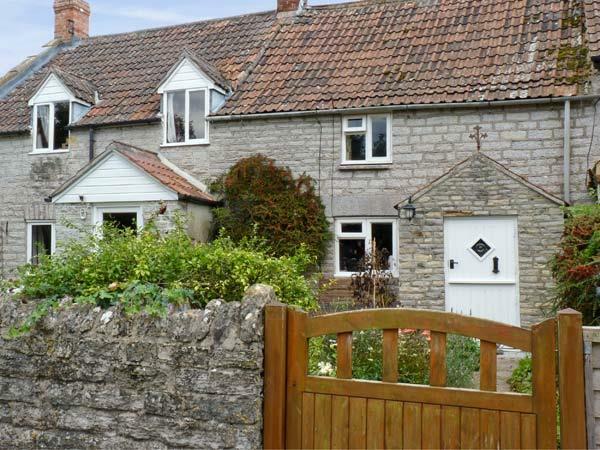 Character property with beams, lovely open fire and cosy bedrooms. Good selection of books and games. Pretty front garden. Peace and quiet. Friendly neighbours. Lots of areas to walk. Loved watching the bats at nights. The cottage had everything you could ask for. The owner had provided kindling, logs and coal for the fire which we enjoyed. The cottage had plenty of hot water, and was clean, and in a good condition. The kitchen was very well equipped, and we made good use of it. We loved the village, and the neighbours were very friendly and helpful. We had a great time. Lovely old cottage with a comfortable, lived in feel. Walking distance to the local pub. Good range of leaflets. The ambience of the cottage was so welcoming - it made the bad weather easier to manage! We are from Australia and loved being able to stay in a cottage in an English village, something we have wanted to do for a long time. This cottage was very comfortable, very cosy and everything in it worked beautifully. I enjoyed cooking our breakfast each morning on the Neff cooktop in a very lovely and well set up kitchen. We loved being able to walk down to the local Red Lion pub each evening for dinner - I think they were beginning to think we had moved in! We went to Babcary to follow up some family history which we were able to do at the local church and also by talking to some of the older locals in the village. Apart from that, the cottage is in a good spot for sightseeing. We managed to go to Glastonbury, Yeovilton and Montacute in the few days we had. Very convenient for touring about SW England and S. Wales. Very comfortable. Well equipped throughout the cottage. Plenty of walks and places to drive to and the local pub was within walking distance. Lovely location and a peaceful and cosy cottage. The weather was fantastic too. A nice homely feel about the cottage and a nice village feel to the area. Good location and very quiet village, near to both coasts. The cottage was idyllic and just as I imagined. As per my previous bookings with Sykes, I found the process easy and the staff were friendly and helpful. I would definitely stay at the cottage again and use Sykes in the future. A very clean and accommodating cottage with a 'homely' feel about it. The Red Lion local pub was very friendly, serving nice food. A trip to Cheddar Gorge is highly recommended and is not too far to travel. If we went to Somerset we would use the cottage again. Thank you. Particularly good central location, able to visit Somerset and Dorset beaches. Plenty of walks with the dog and some interesting towns and villages to visit. A very peaceful "get away from it all" location. Beautiful meadows nearby, ideal for dog-walking. Friendly locals. If you're looking for other cottages around Woodforde Cottage, we've got some cottages below which may take your liking. There are 25 cottages within 5 miles of Woodforde Cottage - and they have reviews too.